Mindfulness has gained significant popularity as a contemporary psychotherapy modality in the last ten years. It offers a refreshing new insight into psychological problems, how they manifest and how they can be alleviated. The use of mindfulness based interventions and the research base around these interventions have grown exponentially. Programs like Mindfulness-Based Stress Reduction, Mindfulness-Based Cognitive Therapy, Acceptance and Commitment Therapy and Dialectical Behavior therapy have strong empirically validated findings for conditions like Depression, Anxiety, Stress, Chronic Pain, Cancer, Eating Disorders and more. Mindfulness is a key ingredient in psychotherapy. Clinicians who practice mindfulness have found to derive deep success and enjoyment in the therapy process. Mindfulness informed therapy includes formal and informal practices of mindfulness that enhance the therapy relationship as well as the lives of clients. Given the growing interest among psychotherapists of all theoretical orientations, this 16 week program will explore the integration of mindfulness in psychotherapy. Therapists will learn to assess clients’ appropriateness for Mindfulness Based Psychotherapy (MBP), formulate a treatment plan in collaboration with the client based on MBP, incorporate mindfulness into their existing modality of counselling, and learn practices to incorporate mindfulness into their own daily life to enhance one’s own practice, relationship with patients, and treatment for patients. The main emphasis of the program entails understanding mindfulness by cultivating a personal mindfulness practice, learning about current mindfulness research, integrating mindfulness into one’s own everyday practice as a therapist, learning to enhance the therapeutic relationship with the use of mindfulness, and finally, learning about and integrating mindfulness into one-on-one and group counselling practice with a variety of clinical conditions. In all, the program consists of 30+ hours of faculty/class contact along with case conference and consultation, and three days of retreat based practice,. 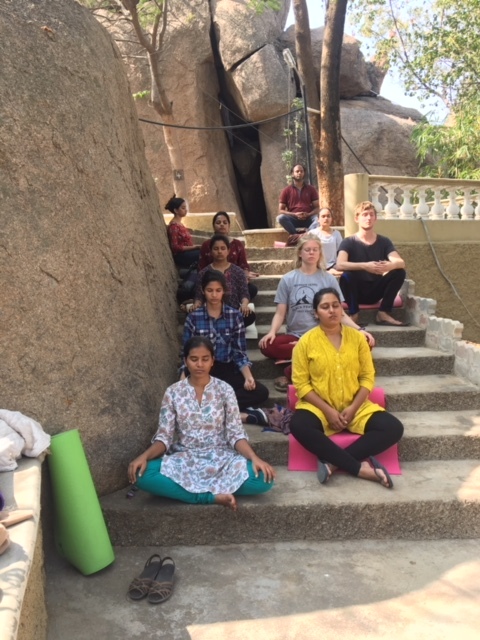 The program heavily relies on reading & practice of mindfulness outside of class time and focuses on incorporating mindfulness in psychotherapy.